The Royal Suite study room. 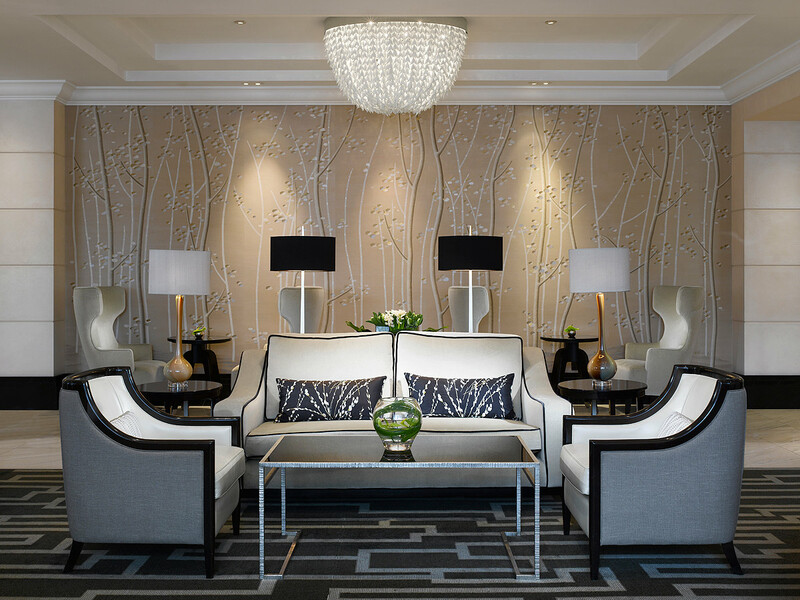 All photos courtesy of Intercontinental London Park Lane. 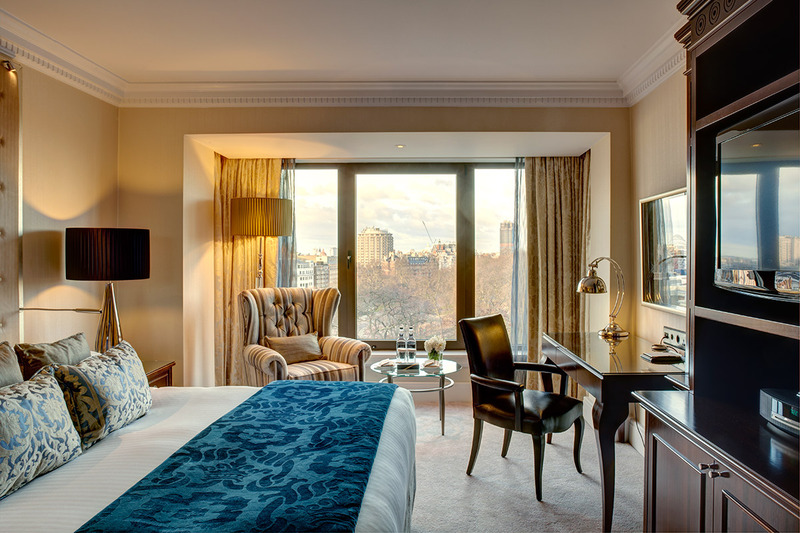 InterContinental London Park Lane offers old-school charm with modern touches in the white-hot center of posh London. 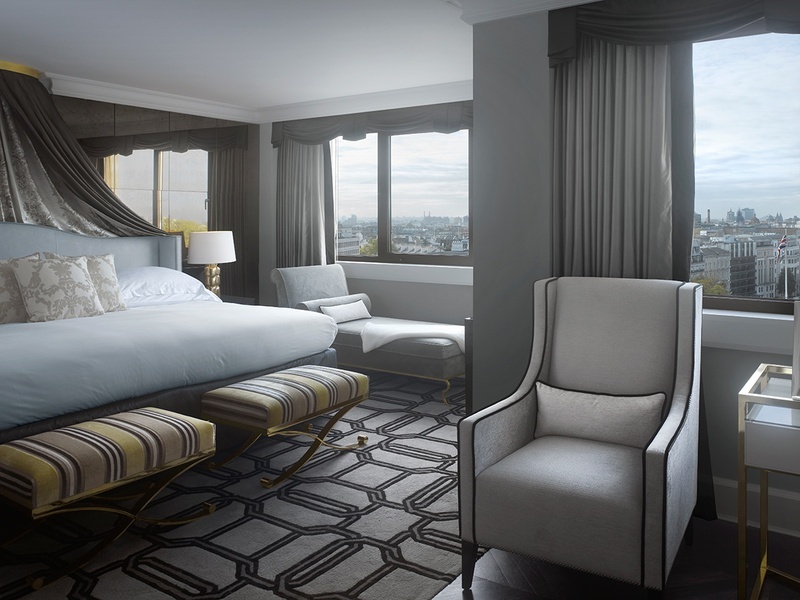 Welcome to slumming it with the upper crust. 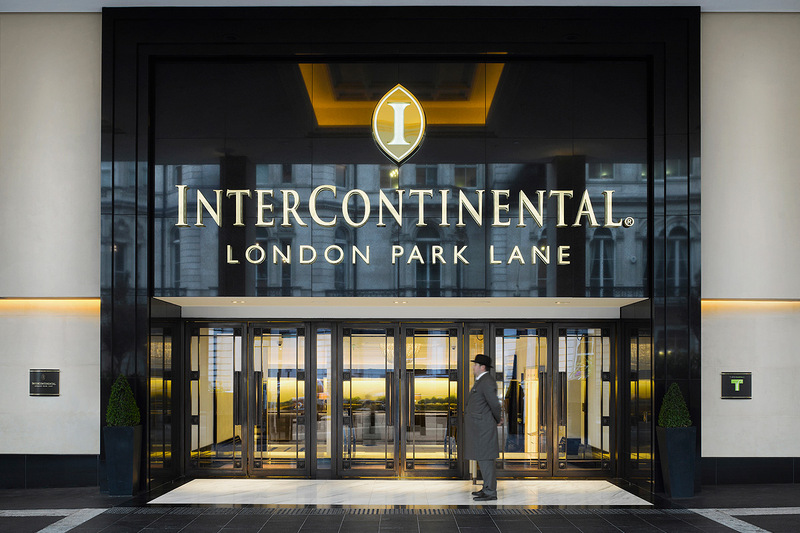 Intercontinental London Park Lane is one of the most established, old-school hotels in London. In 2015, it celebrated its 40th anniversary and introduced a range of new programs (like gluten-free high tea) to keep it ahead of the crowd. 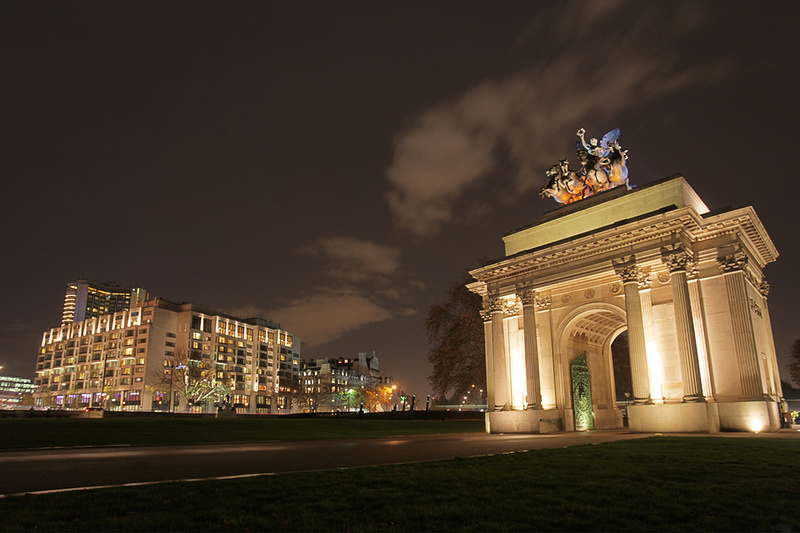 But it remains a prime people-watching spot, a place to mix with old money and have a royal London experience. The port cochere with doorman. 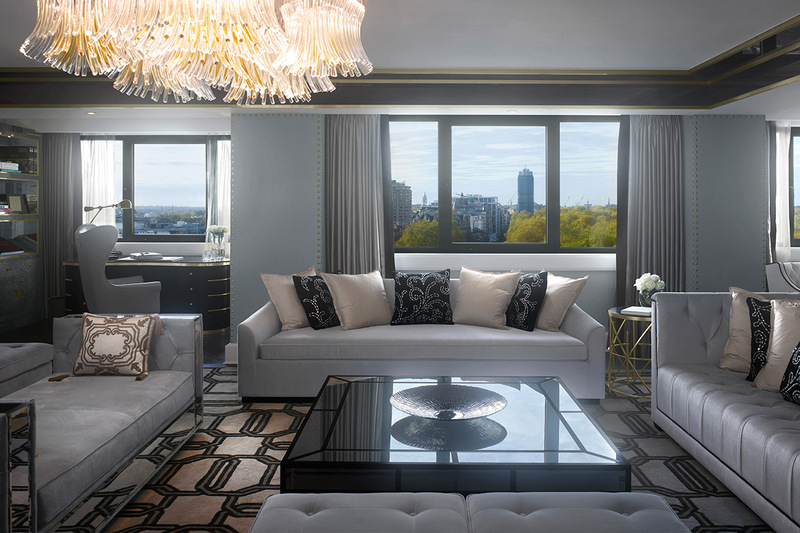 The Royal Suite living area.